Description: In the paper describe the point of view to estimate uncertainty of the immunity tests results of the technical means to action of the ESD. The point of view is ground on the recommendation of the project standard IEC 61000-4-2 (2-th redaction). The example of the estimate uncertainty of the immunity tests results of the technical means in the concrete laboratory are present. Kniazev, V.V. and Lesnoi, I.P. 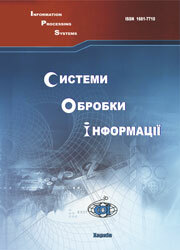 (2007), “Otsenka neopredelennosti rezultatov ispytanii tekhnicheskikh sredstv po parametram EMS”, Information Processing Systems, Vol. 6(64), pp. 44-46.